We got up early to make our way to the start to take photographs to keep people on Facebook happy. There were quite a lot of people at the start and everybody was eager to get a move on. We really enjoyed cycling in the countryside. Willemina wanted to save her legs for the following days of riding so we did not go all the way to Mount Collins and we will leave that till next time. I think we missed out on about 4 kms of cycling. Later we joined a group for dinner that had been organised by the Social Committee. The meals were very nice and the company excellent of course. It is just so much fun trying to guess who all these people are in their civvies, you might just guess who it is from their mannerism. We only know everyone in cycling gear or from the backside when you are cycling behind them. Darcy was the only one who was very recognisable. Again, a small group of us decided to do our own version. We parked the car some kms out of town and made our way to Greenthorpe – more enjoyable countryside. We came across someone with a flat tyre (those cateyes again) and after the tyre was fixed we all made it safely to Greenthorpe. We enjoyed a coffee and then made our way back to the car. There was one very fast downhill section that everyone enjoyed. Our ride was about 60 kms. We were concerned about the heat so that is why we decided to go on a shorter ride. We really wanted to do the ride to Wyangala Dam but had a look at the distance and profile and that seemed quite a hard ride, so we decided to go for a drive and check it out later. This was another lovely ride and Willemina especially was pleased that it was a shorter one as the legs were starting to protest after the previous days of continuous riding. As we did not get to doing the Wyangala Dam drive the previous day we decided to do that today. Were we glad we did not cycle that. Willemina would like to try it but just a ride as the two of us together so that we can do our own speed. It was very nice out there but certainly some challenging hills. Thanks to Peter Green for all the hard work and the Social Committee for making the event happen. We both thoroughly enjoyed it and would like to do some of the rides we missed out on next time. It is also nice to see people joining us from different bike groups and BUGS and catch up with others we haven’t seen for a while. 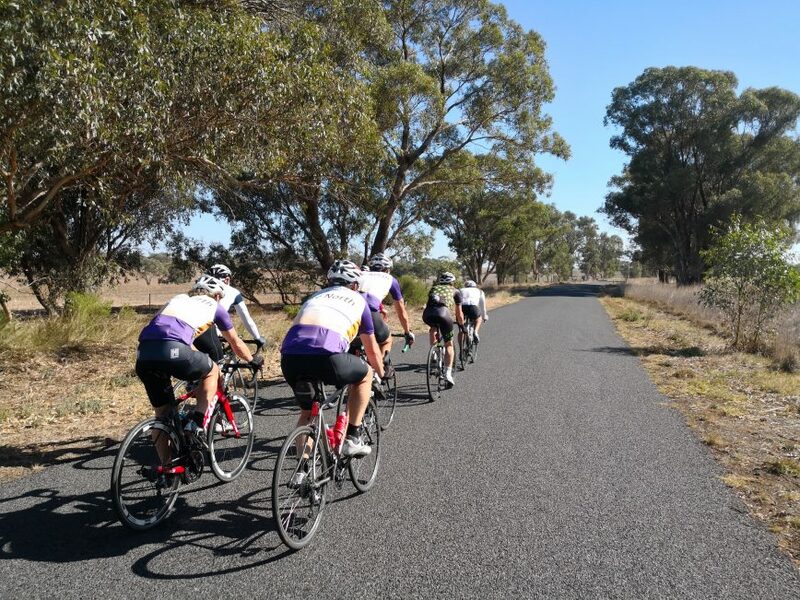 Cowra Council provides a booklet with maps of routes that we got on a previous occasion and you can of course download the files from the BikeNorth Tour de Cowra site to your device.